You are here: Home » Faith » Focus on Faith » Ask Father Mike » How can we avoid a ‘greenhouse faith’? How can we avoid a ‘greenhouse faith’? Q. It used to be easy to believe in Jesus when I was younger, but with all the suffering in the world and in my life, I just don’t know. Why is it harder for me now than when I was younger? A. Great question. There could be many reasons, but what I would like to highlight is something I’ve found in many people who were raised Catholic in the developed world: Many of us were introduced to Jesus before we were introduced to real suffering, and this has shaped our view of the world and of what Christianity is supposed to be. Reflect on the difference between that experience and that of almost every other Christian before the modern era. That person was raised in a world that was brutal and uncertain. From a young age, they would have encountered death of parents, siblings and friends. They would have always understood that this world is dangerous, and then they would be introduced to the truth that God is good, that he made this world good, but sin is what has caused all of this sickness, suffering and death. They would be presented with the truth that Jesus has the final victory, that God is on your side even in the midst of this broken world, and that he has even redeemed the meaning of suffering and death. It is no longer senseless. Coming to this kind of faith, after having experienced the reality of the harshness of life, would be powerful. It would not be a fragile faith that is merely waiting for the first moment of opposition to crack its foundations. And yet, many people in the West have not had this introduction to faith in Christ. Many people are introduced to Christ in a greenhouse. The concept of the greenhouse is useful here. When one lives in an inhospitable climate, it is difficult to grow delicate and fragile plants. 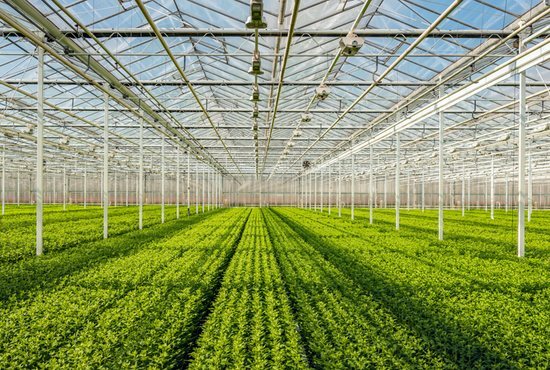 So, we put them in greenhouses where everything is controlled, and the plants are protected from the kinds of things that can damage them. That is a decent thing to do when a plant is fragile. But there comes a point when the plant has to be taken out of the greenhouse and has to be able to live in the real world. Too many Catholics have what we might call a “greenhouse faith”: As long as the environment is controlled and there aren’t too many points of opposition, we are spiritually “alive” and can survive. But Catholics aren’t meant to live in greenhouses. We are meant to be able to thrive in any environment. Any. Environment. To be able to stand and grow and thrive in any circumstance and not turn to blame God at the first sign of pain. We then realize that, for our faith to grow, it must be tested. It has to pass through difficult times. St. Paul, writing to a struggling church in Rome, states, “Not only that, but we even boast of our afflictions, knowing that affliction produces endurance, and endurance, proven character, and proven character, hope … and hope does not disappoint” (Rom 5:3-5). This scriptural truth is also true in other areas of life. Last year, I read a fascinating book by an economist (who is also a strong Christian) who presented the concept “anti-fragile.” He noted that the term “resilience” was being used quite a bit these days in popular parlance and that resilience is a good thing. But he wanted to ask if there was something more than mere resilience. The concept of anti-fragility is known to most of us (even if we’ve never encountered the term). It is the principle behind inoculations. A limited amount of a particular virus is introduced to a human body, and the body responds to it in such a way that it is strengthened and is then immune to greater doses of the virus. The body is incredibly anti-fragile. Now, while it is possible to introduce too much strain on the body, without a battle or struggle, the body grows weaker and weaker — more and more fragile. The same is true for our faith. Without the trials, we become more and more fragile. But obstacles, faced with God’s grace, provide something more than resilience; they offer the chance to have an anti-fragile faith. This is the kind of faith that can thrive in any environment.